BATAINDIA (366) - Above 366-370 going to attack 413 in between resist at 400. LICHSGFIN (1310) - If See the 10 nov post, no need to explain. Now once again support exists at 1300 but trade and stays below that level, come down to 1190-1180. MCLEODRUSS (218) - Below 222-224, come down to 200-198 and after that 180. 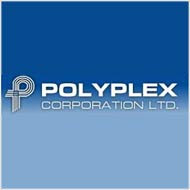 POLYPLEX (783) - Upside Hurdle 830, below 780, downfall continue to 625-615 in between support exists at 690_680. RELINFRA (993) - Last two hopes 980 and after that 955-945. But below that ? will post when it happen. TATACHEM (377) - If trade and stays below 374, fall continue to 330 in between support exists at 360. TITAN (3791) - If not take support at 3790-3750, then fall continue to 3460 and after that 3330-3310.